You’ll love this dialed down low-carb pesto. It is full of tasty broccoli goodness and is the perfect accompaniment to any protein or as a dip. Make it in 20 minutes, with only 5.5g of net carbs. What I love about adding broccoli to this pesto is that it makes a much larger quantity of pesto and turns it into a lovely, low-carb sauce to serve with your favorite meats, seafood or protein. 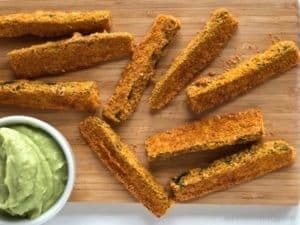 Or serve it as a dip with Lazy Low-Carb Tortilla Chips. It’s less oily than regular pesto, so if you don’t typically love pesto, then you could well be convinced by Low-Carb Broccoli Pesto Sauce. There are so many ways to use pesto, which is why it has become a classic sauce over the years. 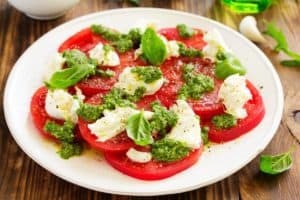 This pesto sauce is not as oily and rich as regular pesto so it makes a great high-fat, low-carb sauce that you can serve generously. 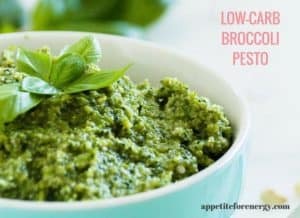 Low-Carb Broccoli Pesto Sauce works perfectly for low-carb or ketogenic diets due to the high-fat content and the added broccoli gives it a good boost of low-carb fiber. Add it to your protein of choice and you have your macros covered. Low-Carb Broccoli Pesto Sauce is ready 20 minutes and has 5.5g of net carbs per serve. 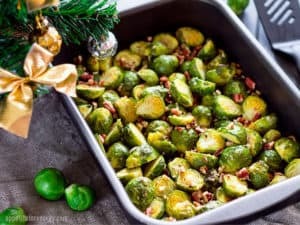 Have You Tried These Other Low-Carb Side Dish Staples? 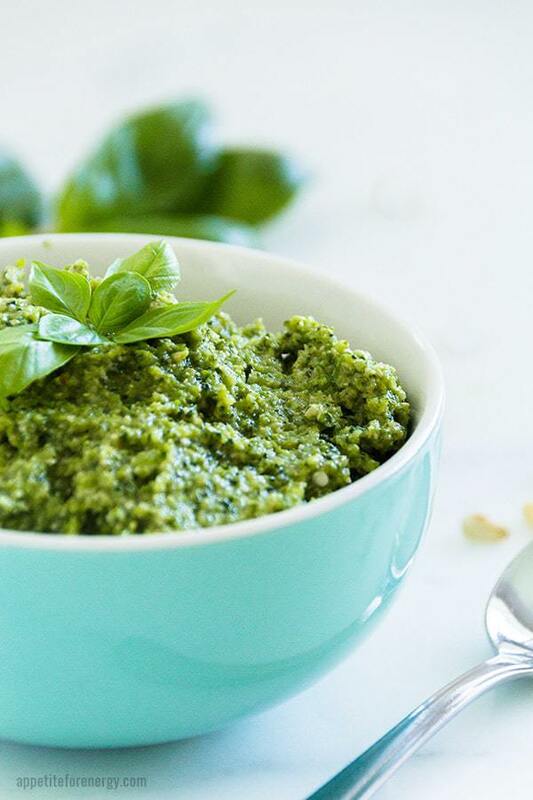 This dialed down low-carb pesto is full of yummy broccoli goodness and is the perfect accompaniment to any protein. Make it in 20 minutes, with only 5.5g of net carbs. Pour the stock into a medium saucepan over high heat and bring to the boil. Add the broccoli or broccolini to the stock, cover, reduce heat and simmer for 5 minutes or until broccoli is tender. Meanwhile, place the basil, garlic cloves, pine nuts, parmesan cheese and half the oil (1/3 cup) into a food processor. Drain the broccoli and add to the food processor. Add the remaining olive oil (1/3 cup), salt and pepper to taste and process till combined. 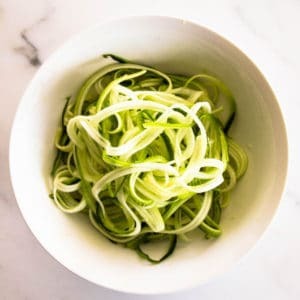 Serve with your protein, as a dip, dollop over a salad or stir through zucchini noodles.